There's a fashion emergency going down on the Hill, and it's not the stereotypical skirt-suit-and-sneakers conundrum. 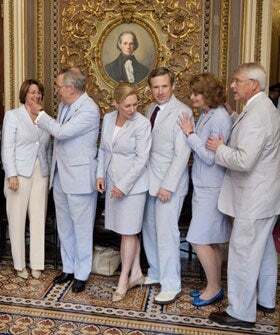 Seersucker Thursday, a tradition honored by members of the Senate and House every third Thursday in June, was quietly discontinued this year, and the supporters of this quirky, all-cotton appreciation day are not happy. In fact, the founder of the tradition, former Senate majority leader Trent Lott, whipped up a Change.org petition to bring it back.